The founder of the African, Caribbean and Pacific (ACP) Young Professionals Network warns that unreformed Economic Partnership Agreements with the world’s poorest states could see progress go backwards and a “new kind of economic dependency” emerge. 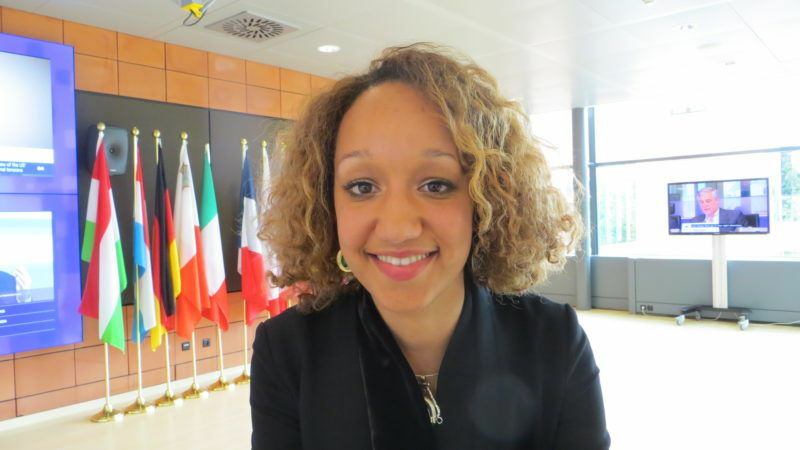 Yentyl Williams, 28, is the British-Trinadian founder of the ACP Young Professionals Network, and the first student at the prestigious College of Europe from a Caribbean background. 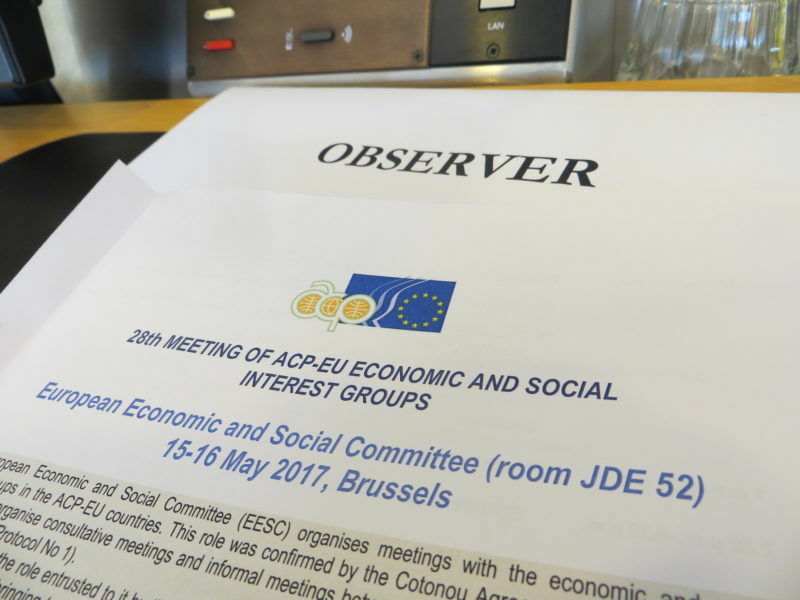 She spoke to EURACTIV.com at the fringes of this week’s ACP-EU Economic and Social Affairs Committe two-day meeting in Brussels. Let’s start with the obvious: what is the ACP YPN? It’s a youth-led platform, established in December 2014, to provide a space for young people to be more active in policy-making. It is inspired by the EU-ACP Partnership, particularly Article 26 of the currently legally-binding Cotonou Agreement, which states that the EU and the ACP countries shall coordinate their activities on youth affairs. 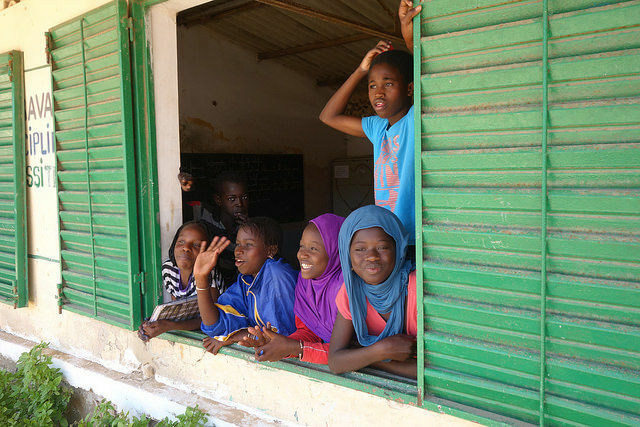 Moreover, it’s also in line with Sustainable Development Goal 16, “fostering inclusive and responsive policy-making”. And what about your own background…? I was born in Trinidad and Tobago and grew up in London, a multicultural and very diverse London. And when I came to the ‘EU bubble’ in Brussels, I realised that this level of multiculturalism is not necessarily present here. That is, despite extensive EU external relations with many countries in the world. I work on EU-ACP relations, and while there were networks for, for example, British or European youth, there was nothing for ACP youth. That’s why I thought it was so important to create this platform for young professionals in both the EU and ACP to come together to exchange opinions and influence policy debate. I think you said during today’s debate you were the only, or the first, ACP-background in 50 years to study at the College of Europe, is that right? The first from the Caribbean region, yes. Actually, when I left the College I researched who else from the College had a mixed background. I only found two other individuals with mixed African heritage, and I realised this lack of representation at this most prestigious institute was a hinderance to improving policy-making. At the level of post-graduate, there should be student exchanges. And bearing in mind the EU’s extensive development cooperation around the world, young professionals and students should be trained on EU relations and diplomacy, like I was. One of the issues that arose at this afternoon’s debate, was a criticism that the ACP was set up in the 1970s, but is it still a coherent grouping? In 2017, does a fisherman in Fiji have much in common with a farmer in Central African Republic? These are very important questions to pose. And it’s true that up until today, we haven’t had an official statement from the ACP secretariat on what they would like institutionally. Although they have said at the level of policy they would still like to be an international, and intra-continental, organisation, that exists across the ACP continent. While there could be fragmentation at different levels of the ACP group in multilateral spheres like the WTO, sticking together with like-minded individuals is important, as Is coordinating and speaking as a group, when faced with big international players such as the EU. In my perspective, it is beneficial for the ACP to stick together. However, of course, we need to interrogate the history of ACP-EU relations, which has not always reaped the benefits of what the partnership set out to do. And does the ACP always speak with ‘one voice’ here in Brussels? Or is it through the African Union, through the individual member states…? Institutionally, the ACP speaks with one voice, via the Secretary General. But it is true that going forward I think there needs to be more coherence on what the ACP group is, how it positions itself, and also the numerous multi-national groupings within the ACP – e.g., the AU, the Pacific Council, there are all these groups, plus the Economic Partnership Agreement groups. 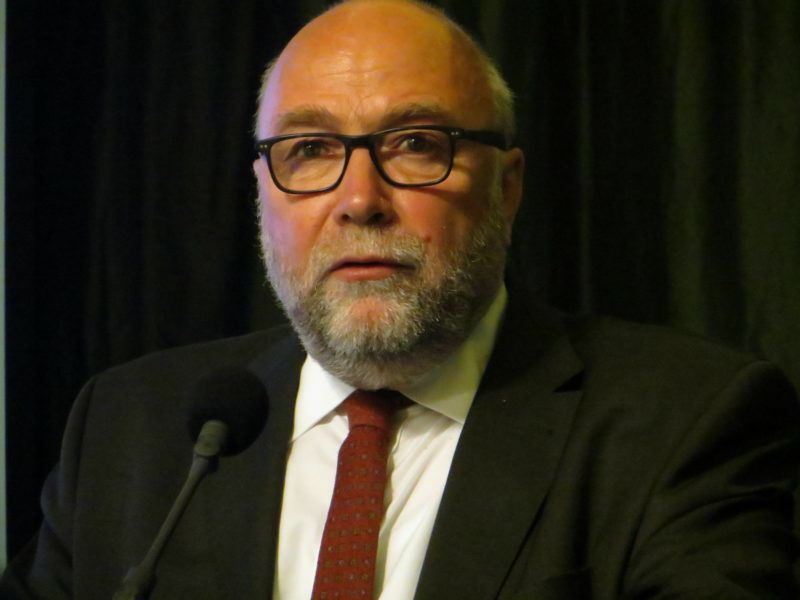 What about the immediate issues coming up – in terms of ACP-EU relations – such as the New Consensus on Development? Well, on the point of policy-coherence, it needs to break from this dialectic, identified as early as 1970, the ‘underdevelopment/development’ dialectic in North/South relations. If were are not the generation to bring that change, I’m worried about the future. And the EPAs that were criticised this afternoon, and signed – as the debate pointed out – with a very different EU to the one we have today in 2017? It’s very important to ask if the EPAs are fit for purpose. An important thing to look at is the EPAs are pre-Sustainable Development Goals. So they don’t really take into account the ‘universalism’ that the SDGs are based on. And with a 25-year transitional period, they demonstrate that the EU is a strong actor in partnership with the weaker ACP regions. There needs to be a lot of very close monitoring of the EPAs – the ones that have been signed, and the ones that have been provisionally implemented. Many have still not been ratified. For example, in the case of the CariForum EPA the expiry date of the transitional date of reduction of tariffs, actually coincides with the end of the SDGs and we need to look at what world we want from 2030 and beyond. And if the EPAs do engender economic weakness from 2030 and beyond we do risk going backwards, to a new kind of economic dependency. How optimistic are you about the state of the Post-Cotonou negotiations, which are supposed to kick in from 2020? [LONG PAUSE] It’s only 2017, but it’s already the ‘day before’ the negotiations. Legally, the negotiations need to start 18 months before the expiry of the agreement, so that is mid-2018. By the end of this summer, we should expect the Commission to have an improved negotiating mandate from the Council… so as we speak, actually the future is being decided now. In a way, we are already too late. But we need to continue to give input. Final question – and this is to you as someone who is both British and Trinidadian, and representing ACP young professionals – how do you see Brexit hitting Official Development Aid? I personally was not for Brexit. But with the scenario we are in, we have to be realistic. Looking at research into how Britain and the EU coordinate their efforts on the ground in the most fragile states, not a lot will change. The UK – via DfID (Department for International Development) will always be invited to the EU table. However, from a trade perspective, I think things will fundamentally be brought into question, since many of the ACP countries are heavily dependent on trading with the UK. For example, Papua New Guinea certifies 100% of its palm oil in the UK before its exported elsewhere. Guyana exports 100% of its cane sugar to the UK before its exported to the EU and elsewhere. So, going forward, there are big questions over trade relationships. The Vienna Convention on the Treaty of the Laws does say that should be the basis on which an agreement fundamentally changes, the parties to that agreement can withdraw from it. This is something both EU and ACP countries should bear in mind – this is not controversial, even though many people will find it so. But a lot of trade agreements that have already been signed have been highly-contested –e.g., Tanzania is not ratifying the East African EPA. Well, that lady still needs to learn a few things about cultures. Europe has many cultures and they are all present in the “EU bubble”. Of course, we are missing in that bubble the particular mixture of British colonialism and the way of life of the descendants of the imported slaves. But I slightly struggle with seeing the importance of that particular niche culture and its relevance for the EU. May Ms Williams can provide us with a reggae version of the Ode to Joy? how is Trinidad and Tobago relevant to ordinary EUROPEAN citizens? how can somebody obviously unwilling to represent the average Joe end up in politics?